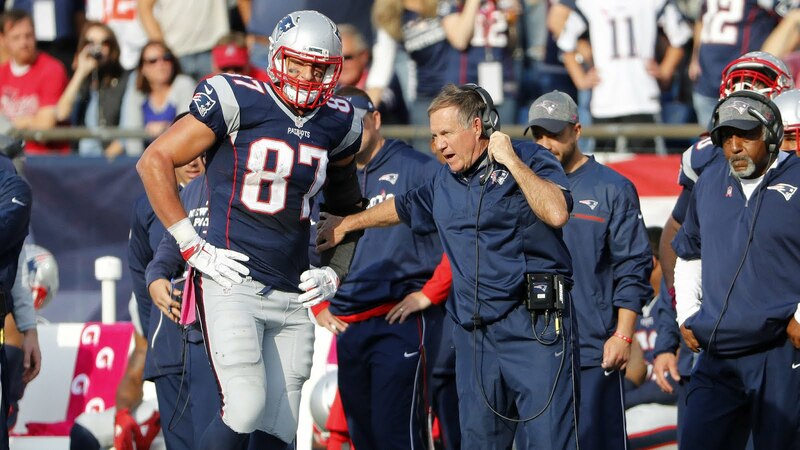 Another day, another Gronk vs. Bill Belichick story. It feels like every angle of this story has been covered, but there is a new report that may provide some background on how this apparent feud started. According to a report in the Boston Herald, Belichick "chastised" Gronk for training with Alex Guerrero in front of his teammates. To piggyback off of the report, that would seem like a way for Belichick to stop other players from working with Guerrero and stick to the team's training staff. It's been well documented that Gronk has adopted a lot of the TB12 Method and Belichick hasn't been too thrilled about it. As we know, Belichick and Guerrero have a pretty rocky relationship, and this certainly isn't going to help matters. This may also lend some credence to recent reports that some Patriots players, namely Gronk and Tom Brady, were feeling "miserable" under Belichick.